Beautiful, well maintained landscaping greatly enhances the property value of your home and adds to your overall quality of life. Whether your home sits on a spacious terrain with limitless possibility or on a standard suburban lot, Strong Landscaping can help transform it into a beautiful oasis that will be a source of pride and enjoyment for years to come. 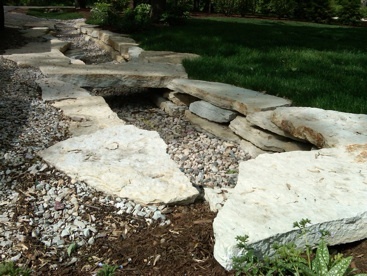 No landscaping job is too big or too small for the landscape professionals at Strong Landscaping. We have the experience and knowledge to help you plan and implement a landscape design that suits your taste and lifestyle. Whether your landscape is a blank canvas or a work in progress we can help make your dreams a reality by helping identify the right vegetation for your property's terrain, soil type and exposure. We are located in DuPage County, IL. Whether your passion is profuse, vibrant flower gardens or the serenity and functionality of a lush expanse of lawn, Strong Landscaping can help. If necessary we will make the necessary modifications including installation of irrigation lines and tree and bush trimming and removal. If soil modifications are necessary we use only high quality, organic additives to ensure the safety of your family, pets and beneficial wildlife.